A true, family owned natural skincare company; Artful Soap Co., was created in order to provide quality, handmade, natural skincare products to consumers. All of their products are hand-crafted locally by the owners which enables them to control every ingredient and ensure a 100% natural product. All products are made from 100% natural ingredients, contain no chemicals, scented with only pure essential oils and are created with the consumer in mind. Their product list includes bar soaps, body and lip scrubs, shampoos and shampoo bars, body washes, lotions, body butters, bath bombs, dog care products, sea sponges and more! Shop Artful Soap Co. today! 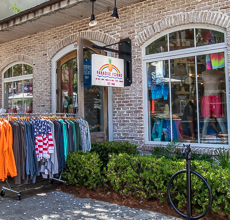 Sandestin's premiere ladies boutique. Stop by to shop all things fun, colorful and chic. Offers a large selection of Lily Pulitzer apparel for women and children, jewelry and footwear. Be sure to check out all of the new home accessory items now in stock. 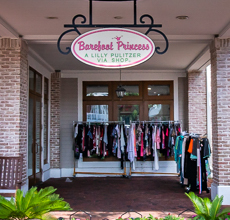 From resort casual to a glitzy night out on the town, Barefoot Princess offers the perfect outfit for any occasion. Connect with Barefoot Princess on Facebook. Coconut Kidz provides the ultimate shopping experience for boys and girls of all ages! With an amazing selection of children's clothing and fantastic toys under the same roof, it has become a one-stop shopping destination. 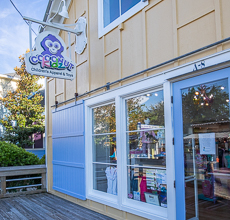 Browse this whimsical boutique and find fashionable and fun brands that will thrill both the young and the young at heart. Stroller rental also available. Connect with Coconut Kids on Facebook! Shop an extensive selection of doll clothing, footwear and accessories for American Girl and Bitty Babies priced 35-50% less than American Girl lines. Dolls & Friends also carries reasonably priced 18" dolls that make great friends for your American Girl dolls! 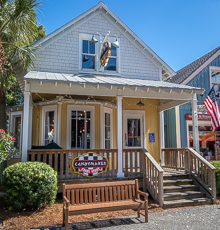 Gemesis Expressions is located on Adventure Lane in The Village of Baytowne Wharf. 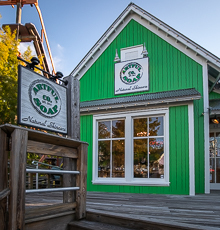 This is a must-see boutique for added memories of your vacation and shopping adventures. 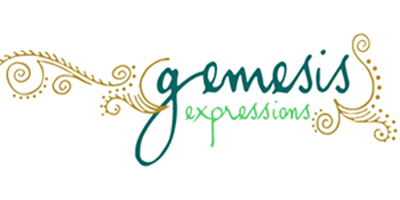 If you are looking for that distinctive shopping experience, Gemesis Expressions has something for everyone. A unique blend of fashion accessories, apparel, jewelry from well-known designers, exquisite Swarovski & Gemstone jewelry collection,, Lenny & Eva handmade jewelry with inspirational sentiments made from salvaged metals, Gemesis Expressions unique leather & freshwater pearl jewelry infused with semi-precious gemstones, Tyler Candles, unique Home Accents & Decor, shells, holiday souvenir mementos, unique gifts such as our Gurgle Pot pitchers, Soap Rocks, Face Plant, and more. Gemesis Expressions is proud to support made in America products and local small entrepreneurs and artists. Our knowledgeable and friendly staff awaits your visit and looks forward to serving you! Salt Life, Rogue Offshore, Deep Ocean and Hook & Tackle and more favorites. Offering all the latest fishing gear and accessories as well as a complete clothing line for men, women, and children. 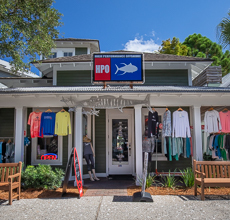 Specializing in high-performance offshore gear for the avid fisherman. Catch the latest gear before hitting the water! Island Clothiers offers a large selection of men's apparel from top trending brands and lines. Southern charm, trendy or classic -- there are designs for people of all ages in apparel, footwear, and accessories. 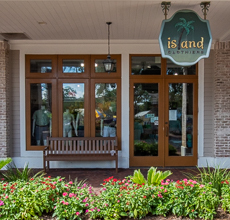 From the beach, to dinner and everything in between, Island Clothiers offers casual men's apparel for all seasons. Paradise Found offers fun beach souvenirs, as well as a large selection of novelty t-shirts. Find a souvenir for the entire family at this Village shop. Wonderful people with extensive mortgage experience have come together to create Rock Mortgage, a division of Bank of Little Rock Mortgage. We are here to serve the needs of our community. We allow originators to take care of their customers with market leading rates and closing costs and the most efficient closing time frames. 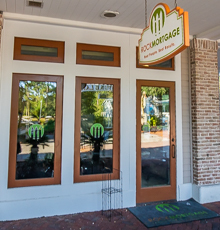 Rock Mortgage is made up of people who are cornerstones in their communities. Our team is not just here to make loans but to make a difference in people's lives. 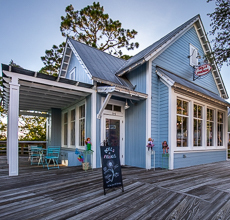 Designers and owners, Kristi Rockwell & Cameron Tharp are proud to call Sandestin home! Rockwell Tharp has been providing Ladies across the world unique and exciting fashion for the past 8 years. Rockwell Tharp has been featured on NBC's The Today Show and was honored with Southeastern Shoe of the year and Southwestern Designers of the year in Dallas, TX. If you are looking for unique, cutting edge fashion that not every other Lady has, then please make sure to spend some time at the all NEW Rockwell Tharp Boutique and meet the owners in person! Connect with Rockwell Tharp on Facebook! Function and fashion for the active lifestyle whether it's surfing, fishing, diving, or simply enjoying a day at the beach. 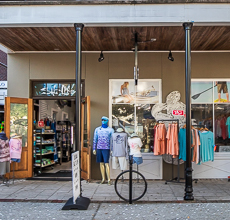 Salt Life has a wide selection of active apparel, decals, optics and gear for men, ladies, and kids. 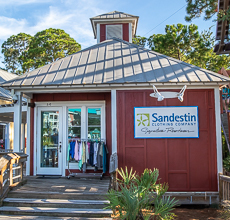 Celebrate your stay with a purchase from Sandestin Clothing Company, the resort's only signature logo shop for men, women, and children. Popular items include buy one get one 50% logo t-shirts, Spirit Jerseys, collectables, gifts, beach necessities, keepsakes and so much more. 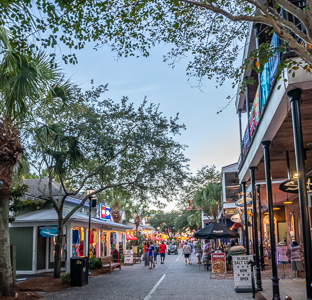 Don't leave Sandestin without taking a piece of it home with you! 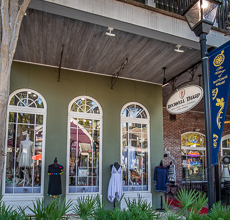 Connect with Sandestin Clothing Company on Facebook! 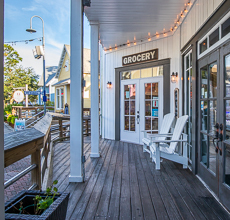 Your one stop shop for groceries, dry goods, drinks, snacks, and unique local products such as honey, soaps, coffee, olive oil, seasonings and much more! Grab everyday necessities and gourmet grab 'n' go fresh goods. 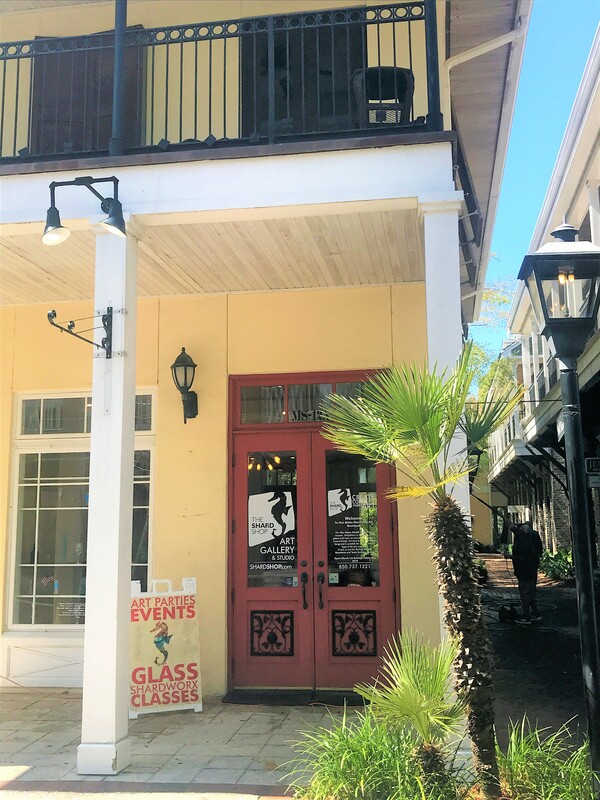 The Shard Shop, currently also in Grayton Beach, Destin and New Orleans, is pleased to now offer a fourth location in The Village of Baytowne Wharf! The Shard Shop is a make-your-own art boutique. Make your own art out of shards of glass, buy a piece of art, take home an art Kit, or call to book a private party! The Shard Shop offers all day fun!